4 pack of each of our nut and seed butters. Perfect for breakfast, after exercise or anytime of the day snacking. Irresistibly moerish and unbelievably delicious, you won’t believe these spreads are sugar and dairy-free. These nutrient rich spreads give you that extra boost to make it through the toughest challenges. Super Boost Butter: Almonds, Cashews, Hazelnuts, Brazils, Pecans, Sunflower Seeds, Walnuts, Linseed, Chia Seeds & Hemp Seeds. All have no sugar, salt and never ever any palm oil. 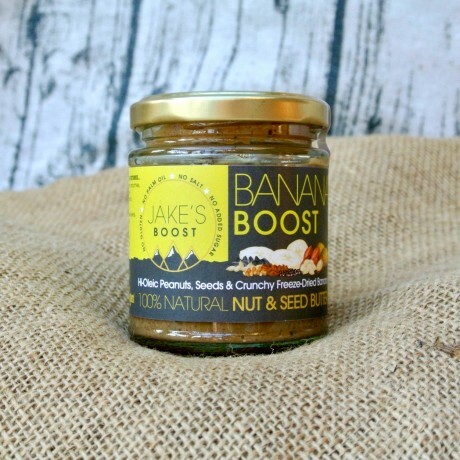 Banana Boost Butter: Peanuts, freeze-dried Banana, Sunflower seeds, Pumpkin seeds, Chia seeds, Linseed, Hemp seed. 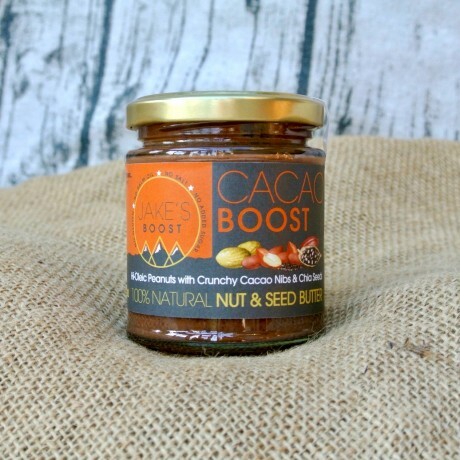 Cacao Boost Spread: Peanuts, Cacao nibs, Chia seeds. 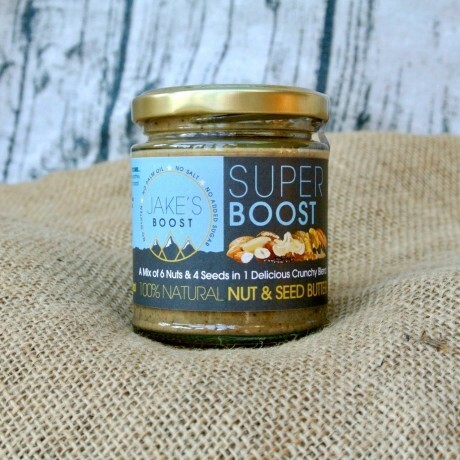 Super Boost Spread: Almonds, Cashews, Hazelnuts, Brazils, Pecans, Sunflower Seeds, Walnuts, Linseed, Chia Seeds & Hemp Seeds. 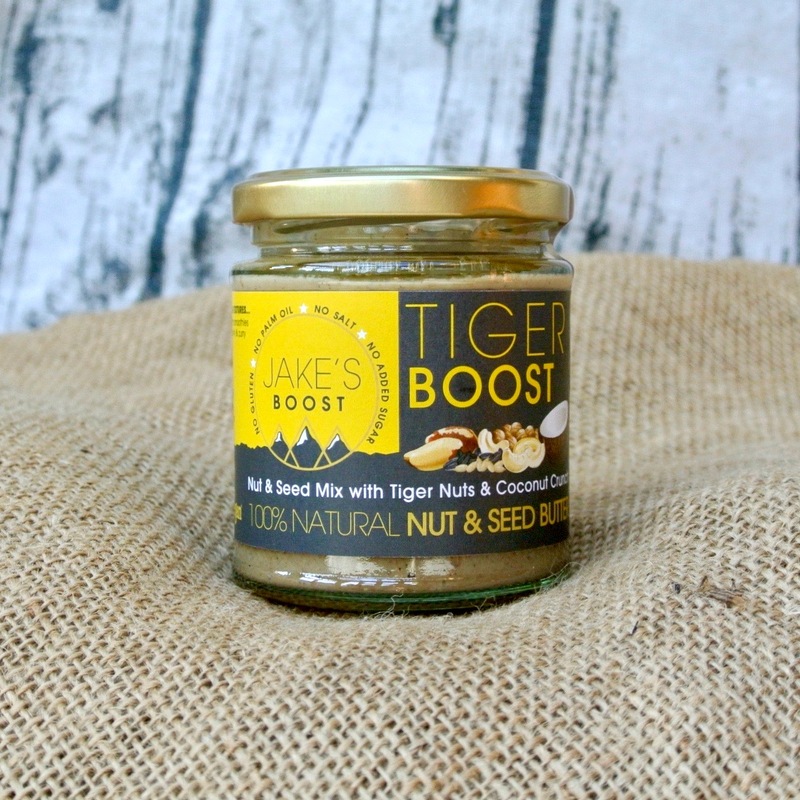 Tiger Boost Spread: Cashews, Brazil nuts, Coconut chips and Tiger Nut flour. I'm a big nut butter fan for a lot of reasons - these nut butters are very tasty unique and deluxe and hugely nutritious - so far i have eaten the cacao/peanut one and tiger nut/coconut flour with coconut chips one is one of the best nut butters i have ever tasted and for someone who has brought 360 jars of Pip and Nut that's a definite compliment. This product is dispatched by Jake's Boost. This item has a shipping weight of 1,225g.